We are so pleased to have been advising the Hero Caribbean Premier League (CPL), a St Lucia registered company, to provide legal advice on all aspects of the Caribbean Primer League T20 Cricket Tournament for the second year in a row. Last year’s tournament attracted a global audience over 65 million and 2015 is set to be even higher as fans across the world continue to be drawn to the event. Over the past nine months, our sports team in Newcastle upon Tyne has been advising CPL and has been instrumental in making the 2015 Hero Caribbean Premier League happen. The work required a firm-wide approach from the team who advised on all legal aspects of the tournament. Legal advice and negotiations were led by Associate Solicitor, Stephen Green, supported by Partner and Head of Muckle’s sports team, John Devine. Stephen was heavily involved in the ongoing day-to-day advice and project management. We advised CPL on participation agreements with franchises across the West Indies, TV production tenders and TV production agreements to ensure maximum revenue and worldwide coverage for the tournament. We also advised on selling the rights to operate, run and manage two franchises in the league, including the St. Kitts and Nevis team to businessman Uday Nayak and the Trinidad and Tobago team to the Kolkata Knight Riders (KKR), which owns one of the Indian Premier League franchises. We prepared and negotiated on sponsorship agreements between CPL and their sponsors, including new title sponsor, Hero Motorcorp Ltd, and other sponsors who include Caribbean Airlines, Limacol and Unibet. The sports team also handled numerous players’ and coaches’ contracts providing advice on player drafts, contracts, option agreements, as well as dealing with sponsorship and image rights issues. Stephen worked on the majority of the contracts from the Newcastle office, as well as being hands-on in Barbados in the final weeks running up to the launch of the 2015 league. The international, multi-jurisdiction basis of the contracts for CPL covers London, India, the USA and the Caribbean. Global superstar Kevin Pietersen heads the list of international cricket stars who playing this year, which also includes, Chris Gayle, Jaques Kallis and Shahid Afridi. CPL says it chose to work with Muckle LLP’s sports team again because of their experience and understanding of the requirements of sporting organisations – an understanding gained not just at the highest professional levels but from grassroots level too. The tournament began in Barbados on 20th June and is being televised around the world to millions of people via broadcasters who have signed up, including BT Sport (UK), Sky (New Zealand), ESPN (USA and Caribbean), Fox Sports (Australia) and Sony Six (India and Sri Lanka). 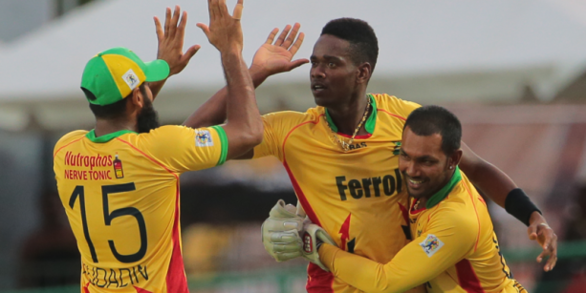 The Hero CPL Grand Final is set to take place at Queen’s Park Oval, Trinidad on 26th July 2015. For more information on our involvement with CPL or to chat to our Sports Team about how we can help you or your organisation please contact Stephen Green on 0191 211 7972.